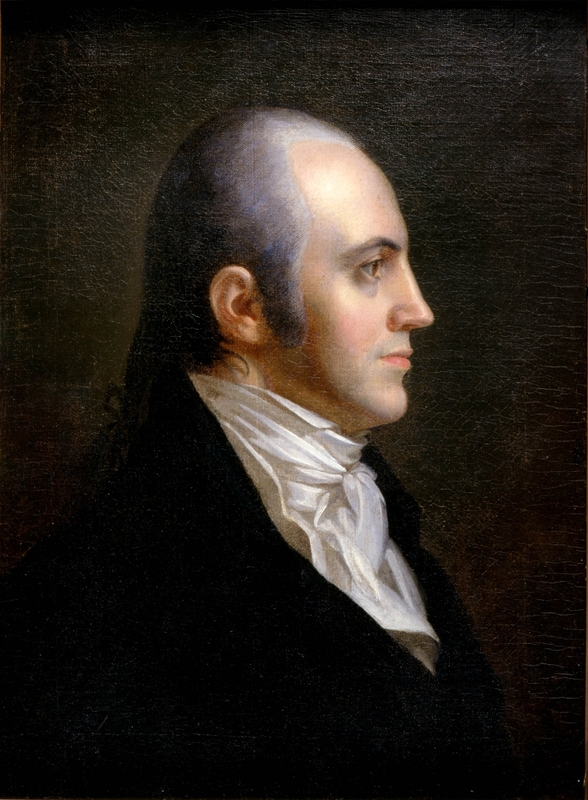 Portrait of Aaron Burr by John Vanderlyn. Aaron Burr was a U.S. Senator and Vice President of the United States under Thomas Jefferson. Burr killed Alexander Hamilton in an infamous duel in 1804. He was also tried and acquitted for treason against the United States for allegedly trying to establish a separate empire in the southwest.